Click for the Weekend in Black and White. I love pictures like this...simple but beautiful. And getting a moon shot is very difficult. Good job. cheers. Aww this is so pretty. Well done to get both the foreground and the features of the moon at the same time! 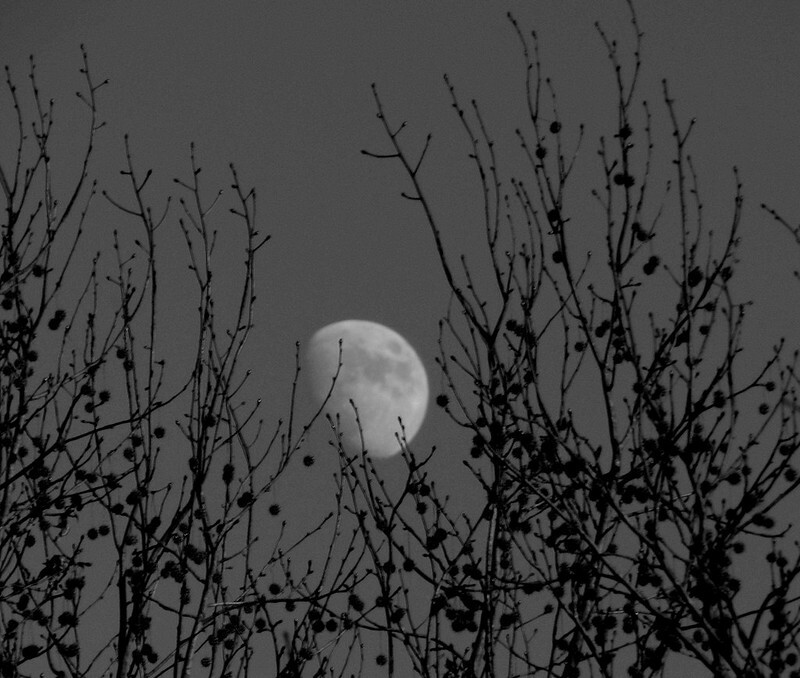 I can see the moon shining adding drama to the black branches. Wonderful image! Beautiful shot of the moon. Love the dark contrast of those branches. Simply lovely! An excellent photo Carver.